Q. What are IBM Utilities? Just like you write your own custom COBOL Programs, IBM provides some pre-written ready-made software, COBOL Programs for doing some day-to-day common tasks. For example, on Windows there’s ready-made software such as Notepad, Calculator, Paint etc. 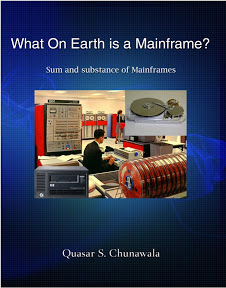 Similarly, on Mainframes there are ready-made COBOL Programs which you can just pick and run, like IEBGENER, SORT, IEFBR14, IEBCOPY, IEBPTPCH, IEBDG, IGYCRCTL, IEWL, IKJEFT01 and many more. Such ready-made utility software (packaged programs) pre-written and supplied by IBM, for doing some common day-to-day tasks, is called IBM Utility Software.